Looking to get a makeover? Want to nail your party look? In need of a soothing massage. You can do it all with this list of top salons in Chennai. Happy Pampering! Whether you want to chop your hair, perm it, undergo Kérastase treatments, go for regular waxing, threading or indulge in proper Swedish and deep tissue massages, Vurve has it all. They’ve also started a new salon called Salon BLOW that specializes in blow dries. 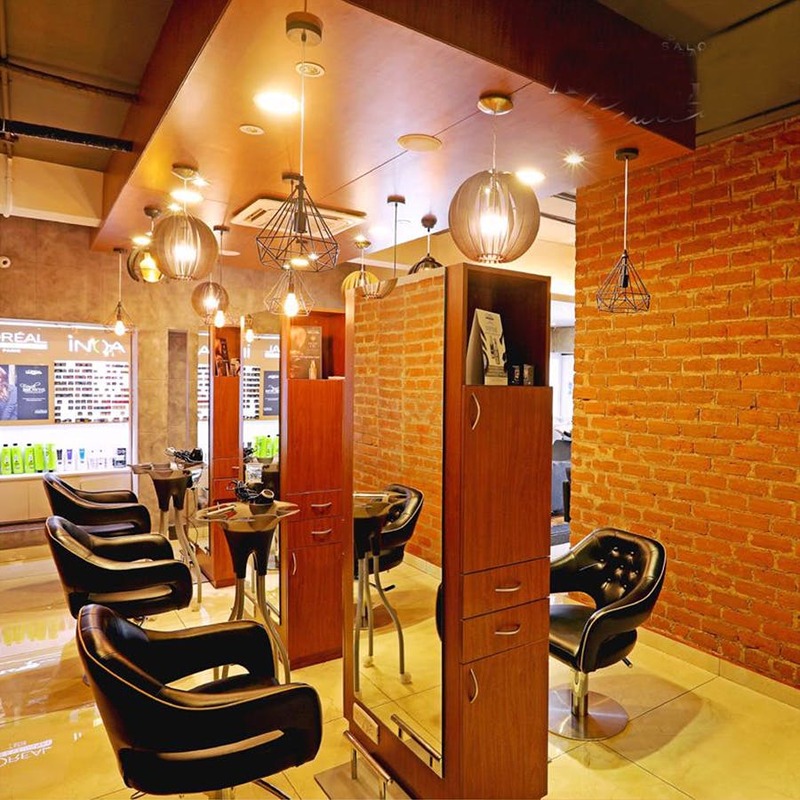 With extensive hair and skin treatment options, lavish grooming services and a rainbow of hair colouring options, Studio Profile is among the most popular salons in Chennai. Read more about it here. Another great unisex salon, Essensuals has established itself as a popular hair styling salon. From classic chic looks to something daring, Essensuals can be your next place to get a makeover. For more info, click here. One of the most established salon chain in Chennai, Bounce offers great styling and grooming services. With a mastery in hair science, the stylists can certainly bring out your inner beauty and execute on all your requirements. With its cute and cheery decor, BBLUNT offers some amazing hair styling and pampering options for you. From quick-fixes for your skin and eyes to fancy hair colouring and nail extensions, they have all types of pretty options for you. Read more here. From quirky lobs and undercuts to total bridal makeover, you can trust Wink to make you look your very best for any occasion. They also keep launching offers frequently so that you can look fabulous without going broke. Started by a highly experienced makeup artist, Aarti Gutta, this salon offers amazing mani-pedis and rejuvenating full body massages. They also have a range of hair services and allow you to learn makeup professionally right there at their salon. Another popular salon chain in Chennai, PAGE 3 presents itself as an alluring luxury salon and spa, specializing in bridal makeovers, facials, hair & body spa, and other luxury indulgences. Using products from sought-after brands like Kerastase, Skeyndor, Genskin, Remy Laure, Phytomer, Nubar and O.P.I, this salon knows how to pamper you.